At least 27 camps of different insurgent groups are located in Bangladesh near the Dampa Tiger Reserve in Mizoram, BSF officials said. 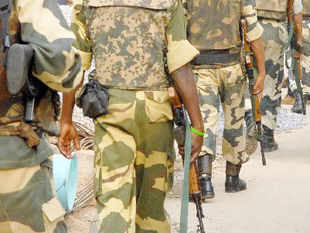 Aizawl, Jun 13 : At least 27 camps of different insurgent groups are located in Bangladesh near the Dampa Tiger Reserve in Mizoram, BSF officials said here today. This was stated in a meeting of the state board for wildlife chaired by Chief Minister Lal Thanhawla here. The presence of the camps of rebel groups in Bangladesh near the border areas has necessitated the construction of border fences and also establishment of border police outposts, the BSF officials state. The border fencing within Dampa Tiger Reserve was estimated at 62 km and there would be seven corridors measuring 100 metres each on the fencing where animals could have free passages between the two countries. The BSF authorities emphasised the need for creation of corridors for the wild animals without endangering the national security.